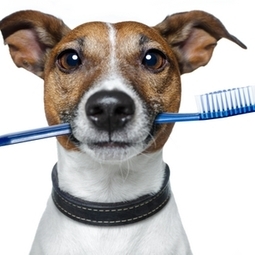 Dental disease is the most commonly diagnosed disease in dogs and cats. If left untreated, it can lead to seeding other areas of the body with infection, harming vital organs such as the Heart,Lungs,Liver and Kidneys. At NVC, oral health screenings,instuctions on preventive brushing and home dental care are part of our annual exams and wellness visits. When dental problems and oral diseases are diagnosed, a dental procedure may be recomended. Our veterinarians and technicians have had advanced training with board certified veterinary dental specialists and can perfom routine cleanings, extractions, dental bonding, gingival debridements,oral mass removals and other dental procedures on an out patient basis. Northside Veterinary is equipped with state-of-the-art oral surgical and diagnostic equipment, such as dental radiographs and we utilize advanced pain management protocols, providing your pet with a safe and comfortable dental procedure.